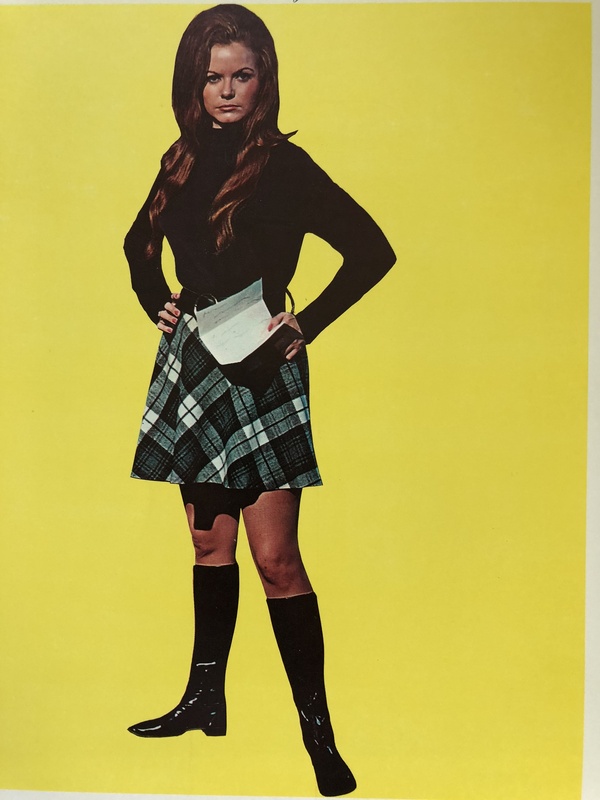 Jeannie C. Riley rocketed to the top of country music with the smash country crossover hit, “Harper Valley PTA” in 1968. Her stratospheric rise put her in the same orbit with country music luminaries such as Merle Haggard, Johnny Paycheck and Dolly Parton. Riley, who now lives in Brenham with her second husband and first love Billy Starnes, shared some memories of her heyday in Nashville. Jeannie C. Riley’s male musical idol was Merle Haggard. As her career progressed, they performed together repeatedly and became friends. On Nov. 22, 1970, Ed Sullivan took The Ed Sullivan Show to the Hollywood Bowl for a tribute to Richard Rodgers of Rogers & Hammerstein. The tribute featured songs from The King and I, The Sound of Music and Oklahoma! The cast for the Oklahoma! portion included John Davidson as Curly, Jeannie C. Riley as Laurey and Minnie Pearl as Aunt Eller. Haggard was originally cast as Curly. “We were at the Hollywood Bowl preparing for a live performance. It was dress rehearsal time, and Merle was nowhere to be found. The producers were getting frantic. I ran into Merle’s wife, Bonnie, in the parking lot. She told me Merle was in the bus and wasn’t coming out. I knew it wasn’t going to go well for Merle in Hollywood if he didn’t come do what he’d promised, and I told her so. He was holed up on his bus. I went inside and said my piece. The producers scrambled and called John Davidson, who was a big star on Broadway. He flew in, and we had one rehearsal before going live. The show went off great. In fact, it was probably better with John than it would’ve been with Merle because I didn’t care what John thought about me, but I would’ve been worried about what Merle thought. Merle and I got to be close friends. Close enough that he’d call me up and sing me new songs that he was considering. I was probably one of the few people who ever got to hear him sing a bad note. Jeannie C. Riley toured with many of the greats of country music including Johnny Paycheck. “Life on the road isn’t easy. Buses. Hotels. Rough travel. It throws you together with people. Johnny was a talented man who drank as hard as he played music. One night after a show, somebody knocked on my hotel door. I opened it, and Johnny just stumbled inside. He’d made it over to the bed, sat down and started talking. Next thing I know, the liquor got him—and he was out. I tried to wake him up. No luck. I tried to find somebody to help get him back to his room. No luck. Finally, I just stretched him out—boots and all—on top of the covers, and I climbed under the covers with all my clothes on and got what sleep I could. Jeannie C. Riley and the Cyrus family became friends by attending the same church in Franklin, Tennessee. When it became impossible for the Cyrus family to worship in public because fans would interrupt the service seeking autographs and photos, Billy Ray invited Jeannie to come over to their home for private Bible studies. She refers to Miley by her given name Destiny Hope. Besides our roots in the Pentecostal church, we shared an understanding of being outsiders on the inside of Nashville. Like me, Billy Ray had a big hit that didn’t fit the mold, and he had to wrestle with all those accusations of just being lucky and having no talent. It was familiar territory. Harper Valley was covered by a lot of high-profile female country singers who were active in the 1970s and early 80s . . . Loretta Lynn, Dolly Parton, Tanya Tucker, Billie Jo Spears, Lynn Anderson and Jeannie Seely to name some. Billy Ray was one of the few men to cover it—and honestly, I liked his version best of any of them. for Harper Valley. He wanted me to see the reaction of the presenter and the crowd as if I didn’t remember the reception. I couldn’t see everything the camera caught. It was worse than I knew. Nobody bothered to hide their feelings, including the presenter, a famous Nashville deejay with a TV show, who rolled his eyes on camera when he called my name. Anyway, Billy Ray was scheduled to appear on the CMAs, and he wanted us to perform Harper Valley together. He wanted me to walk out on stage when we got to the part of the song about Mrs. Johnson talking to the PTA. I thought it would be fun, and he was excited about it, especially about having my CMA dream dress—the one that got redesigned into a mini-skirt by my producer the first-time around—made for me. When it came to female country singers, Jeannie C. Riley preferred those with a lower vocal range such as Patti Page and Connie Smith. She was not a fan of sopranos until she encountered Dolly Parton, the woman she describes as the greatest female country entertainer of all time. “I was familiar with Dolly only as the woman who sang with Porter Wagner. Then we ended up on a showcase together. As part of their set, Dolly took the mic and performed ‘Mule Skinner Blues.’ I’d never heard anything like it or seen anyone hold a crowd like she did. I knew right then she was something special. We both continued to work in the industry, but our paths didn’t cross until later when she’d established herself as a solo artist. We were in the dressing room at Opryland. *Jeannie C. Riley won a Grammy for “Best Female Vocal Country Performance” in 1968. *Jeannie C. Riley was the first woman to top both the Billboard Top 100 and the U.S. Hot Country Single Chart with the same song; a feat not replicated until 1981, when Dolly Parton’s hit “9 to 5” earned number one on both charts.